Sometimes you just need something a little different, right? Maybe framing your photos has lost its luster just a bit and you're in need of something a little more fun and exciting. These fun ideas for displaying photos not only look great, but they're budget friendly too! I personally love canvas because I think it gives photos an extra layer of depth thanks to the texture of its surface. It looks rich and timeless, and since canvas prints are frameless, they give you a look that's different from your more traditional framed prints. You can also get canvas prints in a wide range of sizes, from typical 8x10 prints up to huge custom-sized prints, so you can really get anything that suits your tastes. 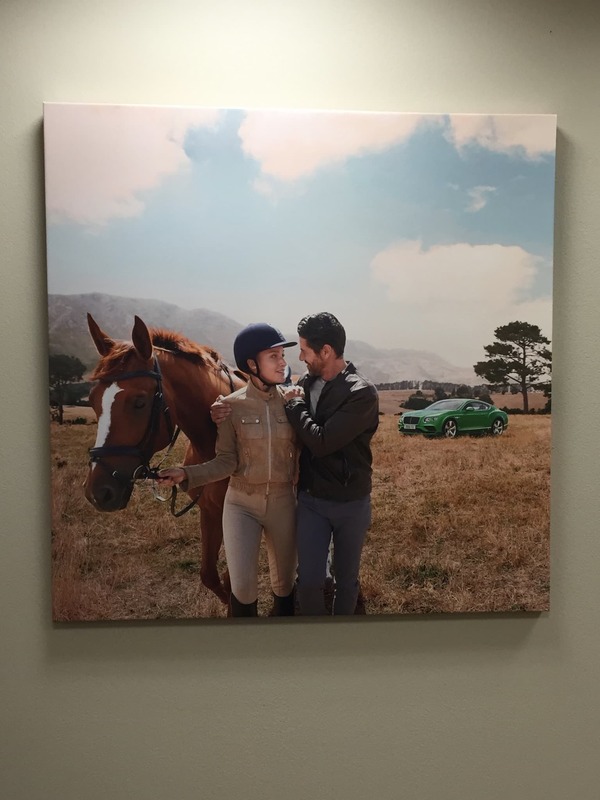 With a large-format canvas print, you can create a focal point on the wall that jumps out and grabs people. Whether your photo is of your family, a landscape, a beautiful city scene, or something in between, canvas can help you make it into an even more special photo. I've got dozens of canvas prints around my home (shown above)...I like canvas that much! Unfortunately, it took me a while to find a canvas printer that was up to snuff - they are definitely not all alike. 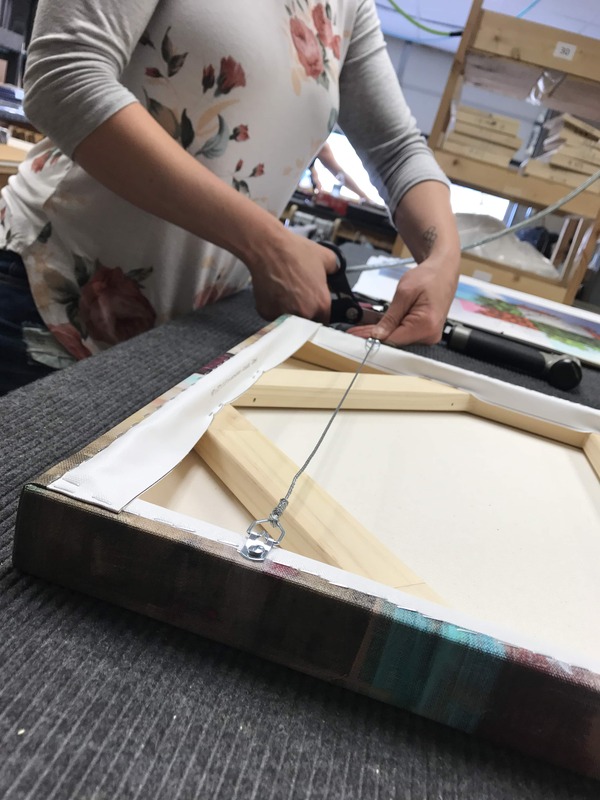 I use CanvasHQ for my prints because they only use the finest-quality materials - archival-grade canvas, high-quality inks, kiln-dried wood, and so forth. These things are gorgeously made from top to bottom, front to back, and they look fantastic on my wall. They'll look great on your wall as well! These prints aren't just beautiful, but they also come backed by a guarantee - if you don't like the print or there's a problem with it, just send it back within 30 days and you'll get your money back. 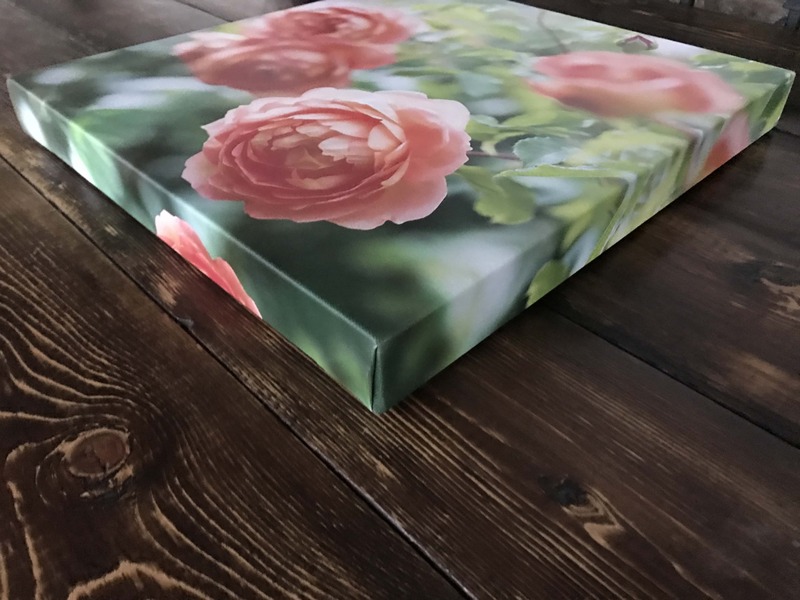 Even better, CanvasHQ offers a lifetime guarantee against bubbling and warping, so you never have to worry about your canvas losing its gorgeous look. If you ask me, a canvas print is a fine way to display your photos - and do so in a way that will add drama to your wall! If you're sick of traditional framed prints, why not try something with a modern twist and display your photos on a steel photo mobile? 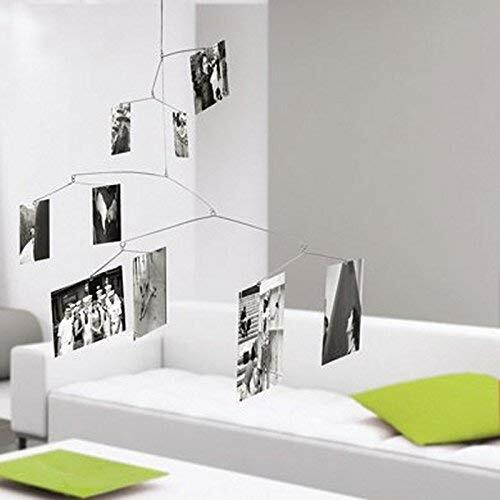 Not only are these mobiles fun with the ability to move and turn, but they also open up new avenues for places to hang your photos. 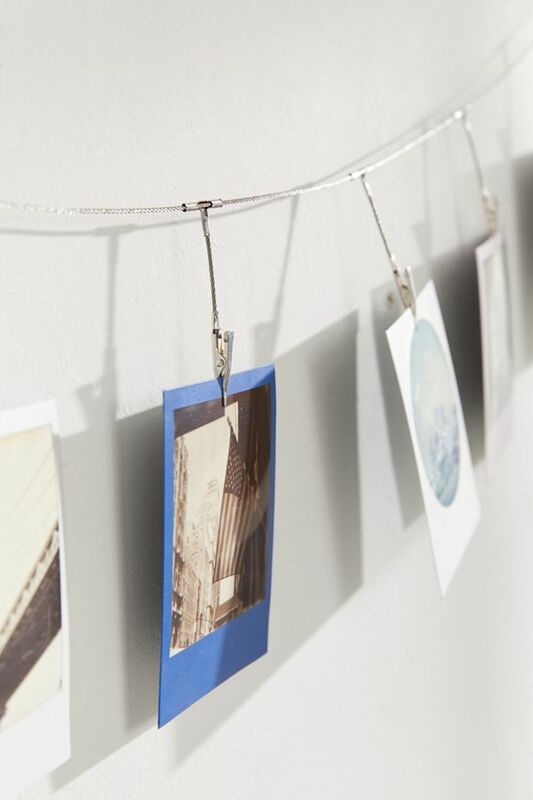 Find a corner, hang it up, and you've got a great way to show off some of your favorite photos without taking up any wall space. And since it hangs from the ceiling, this option is ideal for small spaces. 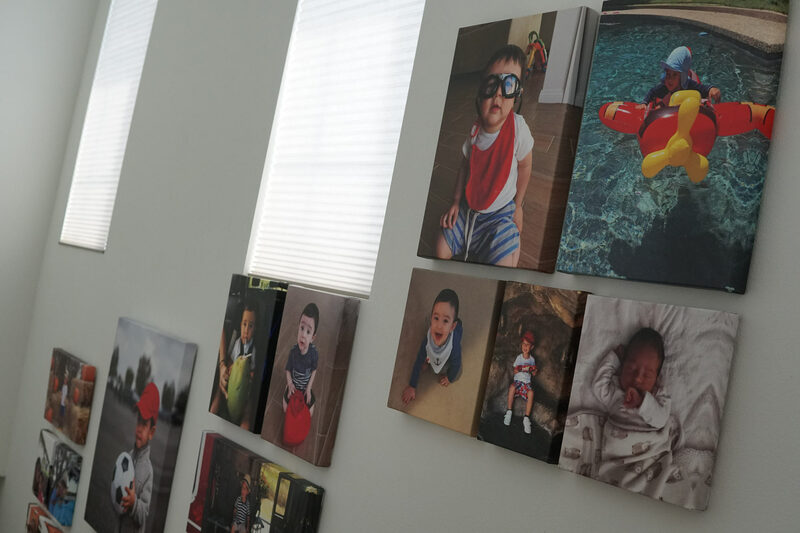 Of course, a mobile is great for showcasing a series of photos, like a sequence of events, or you can use it to show change over time, like displaying several photos of your child at various points in their life. 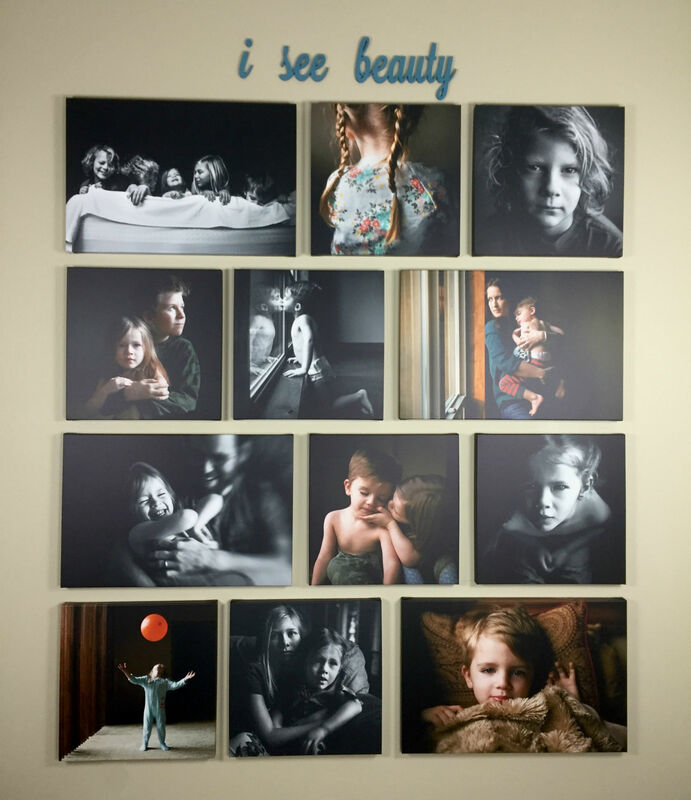 Speaking of children, a photo mobile is perfect for hanging above your baby's crib - the metal components and colors from the photos will be an eye-catching element for them to engage with. 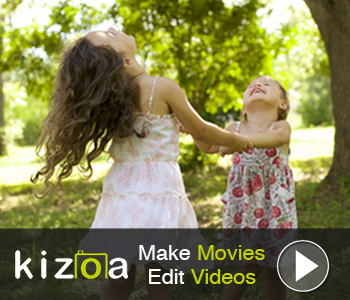 Editor's Tip: Tired of the same old photo displays? See what your photos look like as fine art. Continuing with the metal theme, this metal clip collage set is a fun choice for a child's room, a dorm room, or even an office. 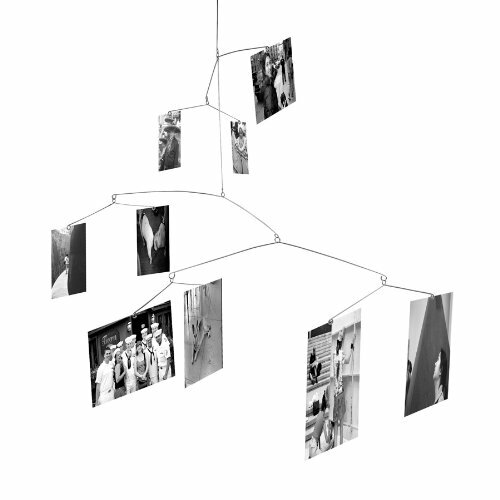 The set includes 12 photo clips so you can create a beautiful collage of memories on the included 5-foot string. If you're looking for a more informal way to display your photos, it's hard to go wrong with this option! 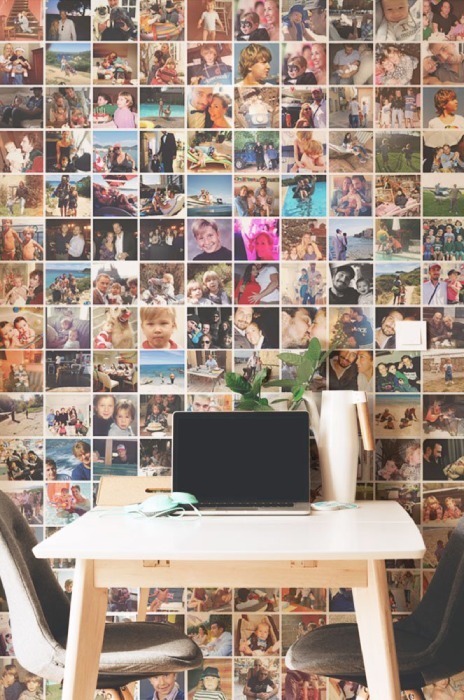 If you have a ton of photos you want to display, a giant wall-sized photo collage could be just what you need. What's great about a collage mural like this is that you can literally show off dozens of photos all at once. This enables you to tell a rich story about you, your family, and your life in one huge masterpiece. Depending on your wishes, you can get a collage mural in a wide variety of forms. You can opt for a peel and stick canvas fabric material that is removable and reusable multiple times. You can also choose a pre-pasted wallpaper material if you're looking for something more permanent. There are even professionally-installed options, like 17mil professional wallpaper for paste application and 3M peel and stick vinyl that offers commercial-grade durability. 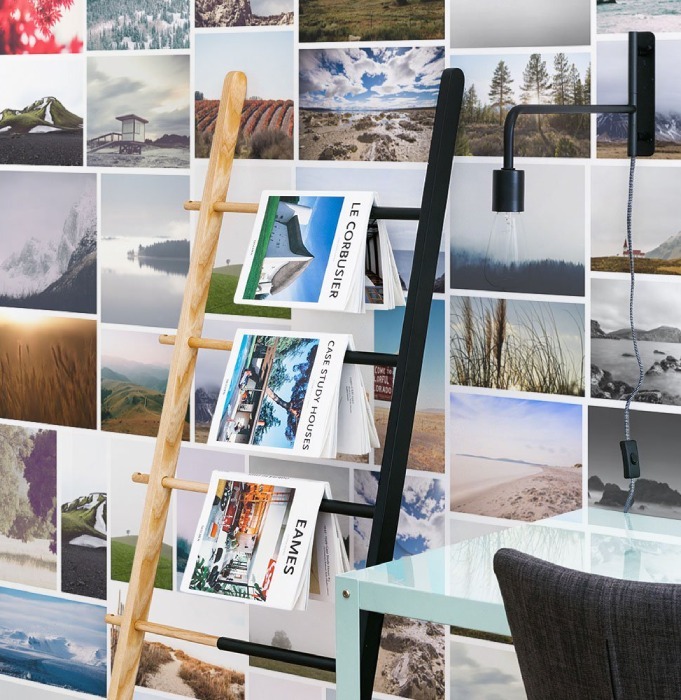 The point here is that there are tons of options - not just for murals but for displaying your photos in fun, new, and interesting ways. All you have to do is figure out which of these options is best for you!